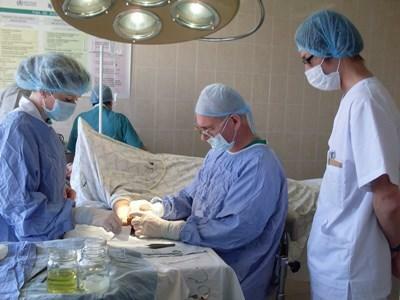 This volunteer medical project works with a county hospital and family medicine practice in Brasov. Many of these patients need urgent medical treatment or suffer from chronic illness. You can provide a fresh perspective on healthcare treatment by sharing your technical knowledge with local staff. How can volunteer doctors help in Romania? You can use your knowledge and training to help local staff as a volunteer doctor. The exact tasks will depend on the placement you choose. At the hospital, volunteers will be involved in assisting with urgent procedures for cases such as car accidents, heart attacks and seizures. You will also be involved in routine work such as taking a patient’s blood pressure. Volunteers can choose to work up to 8 hours a day. At the family medicine practice you will treat a lot of patients with chronic illnesses such as diabetes and high blood pressure. Volunteers will work a 4 - 5 hours a day at this placement. You will gain experience of treating patients from deprived backgrounds who have had to deal with the stigma of disability and illness. You will also learn from fellow professionals who work at these institutions. They will want to share ideas with you and discuss ways of developing your skills. You will also learn about Romanian culture and way of life by spending time in local communities. Staff and patients will want to hear about your life back home and your family and friends. We call this ‘cultural exchange’ and we think it helps our volunteers gain a new perspective on life. You need to be fully qualified as a doctor and have a relevant licence to practice in your country of residence. If you are interested in this project but don't have the relevant experience, then please read about our regular Medicine project in Romania.